Huggalugs are the perfect addition to your little ones wardrobe. For any occasion, there sure to be a crowd stopper. Use on legs and arms. 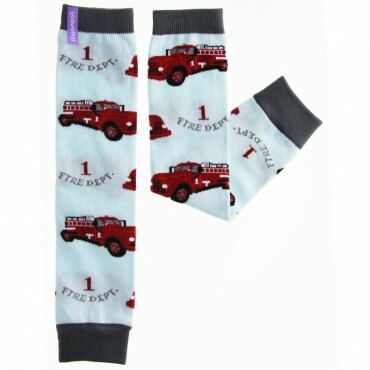 Just the coolest vintage firetrucks in Deep Red on a Light Blue ground trimmed in Dark Grey!